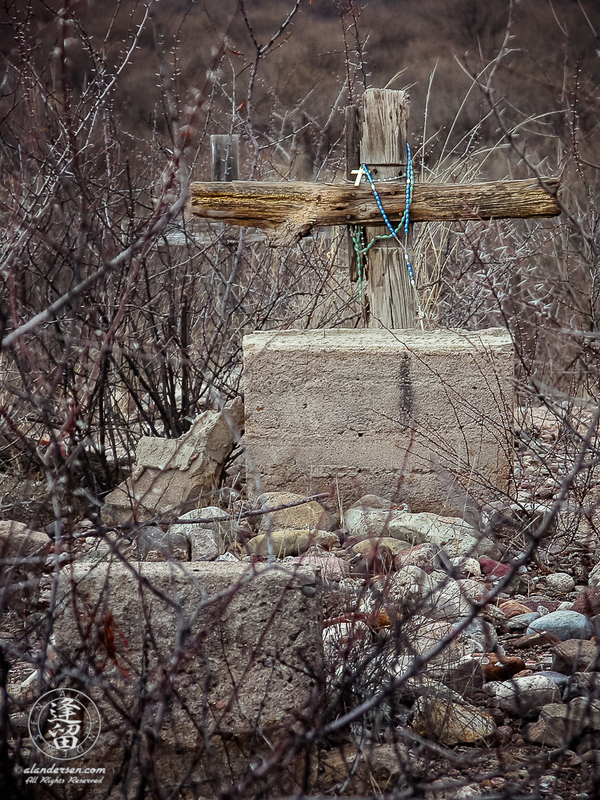 The tombstones are real, draped with turquoise rosary beads, but the wooden crosses and stone cairns most likely exist for the benefit of those that visit this remote historic site. 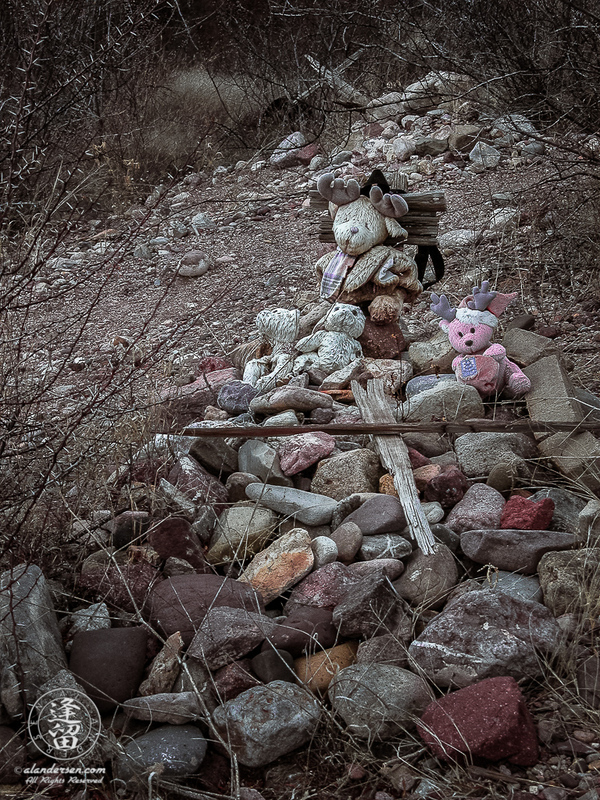 There’s also the eerie stuffed toys, their origins unknown, weathered and discarded, staring vacantly at whomever passes by from atop the mounds of rocky graves. To this day I still don’t know what I was doing out there in the middle of nowhere, lying on my stomach amidst the forgotten dreams that lay piled around me. I remember it was quite overcast with rain imminent on the horizon. I came here chasing the light, trying to capture an almost palpable mood that seemed to permeate the place: the hopes, the dreams, and the lives lived by those who lay buried here. The irony was not lost on me as I opened my shutter to permanently record this fleeting moment, in this place where all those dreams had died.